12% size of original. I have yet to color it fully. CnC welcome before I go any further. I don't like the man thong thing he has going on, nor do I enjoy the fact that every time I glance at his crotch I feel like he has an oddly shaped bulge. The mouth also looks a little bit weird, but I'm sure that's just because everything was scaled down so much. I do like it, though. The monkey's facial expression is pricelessly cute. Oh ok. It's called the iliac crest. I know, but I'm half blind and it looked like a thong before I figured that out. I think it would look better if it was a lot more subtle. Right now I feel it stands out too much. Hm, only thing I see is that the pelvic bone is a bit elongated. It seems as though his pants are baggy, yet they're really tight too. Other than that, you're illustrative style is nice, I like it alot. 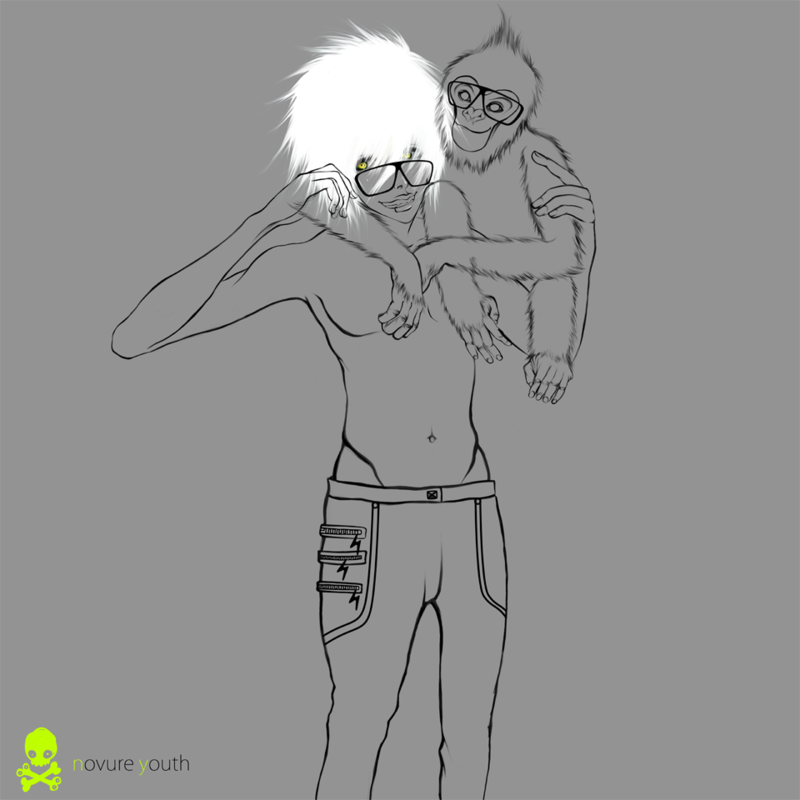 I think a little weight/shadow on the monkey's legs(or where ever that's in contact with the guy). It looks like it's pasted on the guy on first glance, some emphasis in that area would help.